ComboFix is a program written by sUBs, that removes spyware, malware, rogue antispyware apps and Vundo infections. Also it deletes a bunch of files related to the infections and is updated fairly regularly. When Combofix finished, it will produce a report for you. Power user can use the report to search and remove infections that are not automatically removed. 1. Temporarily disable your antispyware, antivirus and any antimalware real-time protection, so they may interfere with running of ComboFix. Download combofix from the direct link above and save it to your Desktop. Skip the step, if the Windows Recovery Console is already installed. If you have Windows XP disk, then read the article: How to install and use the Windows XP Recovery Console. You should know version of Windows. Right click the My computer icon. Click Properties. In the window read information about your Windows version. Click here for open Microsoft’s website. Select the download that’s appropriate for your operating system and download setup boot disk installation to your Desktop. Use Service pack 2 version, if your Windows XP is Windows XP Service pack 3. Now close all open windows and programs. Drag the setup package and drop onto ComboFix.exe. At the next prompt, click ‘Yes’ to run the full ComboFix scan. Close all programs. Your Task Bar should be clear of any program entries including your Internet Browser. Double click Combofix.exe icon on your Desktop to start it. The recovery console was successfuly installed. The scan will temporarily disable your desktop, and if interrupted may leave your desktop disabled. If this occurs, please reboot to restore the desktop. Even when ComboFix appears to be doing nothing, look at your “drive access” light. If it is flashing, Combofix is still at work. 1. I ran combofix which can affect autorun so now autorun and autoplay is not working. Combofix prevents autorun of all CDs, floppies and USB devices to assist with malware removal & increase security. Read how to disable/enable autorun and autoplay. 2. No internet connection after running Combofix. Restart your computer to restore back your connection. If it does not work, then click Start ->Settings -> Control Panel. Double click to Network connections. Locate your connection and right click on it. In the menu click to Repair option. When repair proccess has finished, your connection should be working again. 3. I ran combofix and got error message saying “This copy of combofix has expired”. Download an updated copy from here or change your PC system time to some days ago (7days for example). Warning, only if first option don`t work. 4. How to uninstall combofix. After using Combofix, you may uninstall it from your PC. Read how to uninstall combofix. 5. What should i do with QooBox and Combofix files ? 6. Combofix is virus ? No, No, No. Some security programs will incorrectly identify this tool as potentially or actually malicious due to some of it’s components. Although these files can be used maliciously, they are an integral part of the fix and I recommend you disable your antivirus. I strongly suggest that you post your log at My AntiSpyware Forum and finally remove the items as directed by the Member helping you. This involves no analysis of the list contents by you. That will be done by the Help Forum Staff. 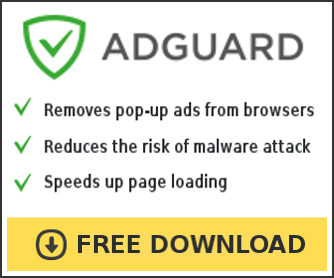 More Free Antispyware Tools: MalwareBytes Anti-malware – free spyware, malware, trojan remover, SDFix free trojan remover tool, SUPERAntiSpyware – free antispyware program. I run a stinger and to my surprise it detected a trojan variant Generic!Artemis in ComboFix downloaded file. do no where it comes from? I haven’t install combofix yet. Should I continue and install this program? Thanks alot for this great patch. It is best Patch for malware removal. Combofix, it’s very helpful & quick solutotion for any pc ,but only WinXP OS, if u can we need a Vista version. thx a lot. Chris, follow these steps. I will help you at our forum. IT WAS HELP ME TO FIX MANY PROB. in desperate measures, you can run in regular desktop mode, with restore off, still gets them, then reboot and set restore. I do it all the time- has never failed me on over 10 thous.machines. Combofix has really helped me sort out qite a feww problems with sypware. Keep up the good work. i read somewhere that it can cause probs to the p.c. if not used with guidance from a professional? abby, if you need a help win spyware removal, then ask help at our forum. Combofix, it’s very helpful & quick solutotion for any Computer thanks. I need the link to download combofix easily, can any one helps me??? Its a great tool to remove spyware. it saved my computer. even KIS8 couldn’t remove some malware.